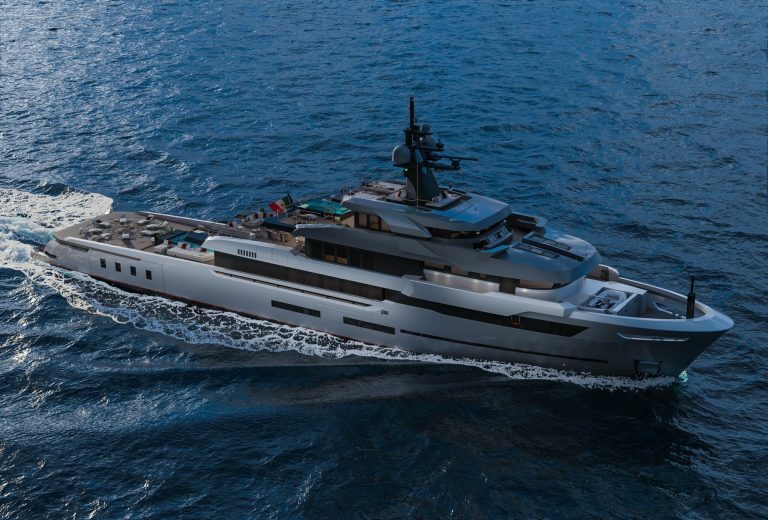 lifestyle /Yachting VSY 65m Waterecho Concept – A paradigm of comfort and sustainability Now well-established as an industry standard in the wake of its forerunner, Stella Maris, the VSY family line has just expanded to welcome the new VSY 65M WATERECHO to the range. Featuring exquisite exterior lines by Espen Oeino and the interior design by the Italian designers Dante O. Benini & Partners Architects, as an option, the VSY 65M WATERECHO represents a consolidation of all the shipyard’s know-how to date, leveraging their most successful solutions with a new creative flair, and providing bespoke, distinctive elements in pursuance of two objectives right from the outset of the concept. The first is to create a superyacht crafted to meet the tangible criteria of today’s yacht building sustainability. 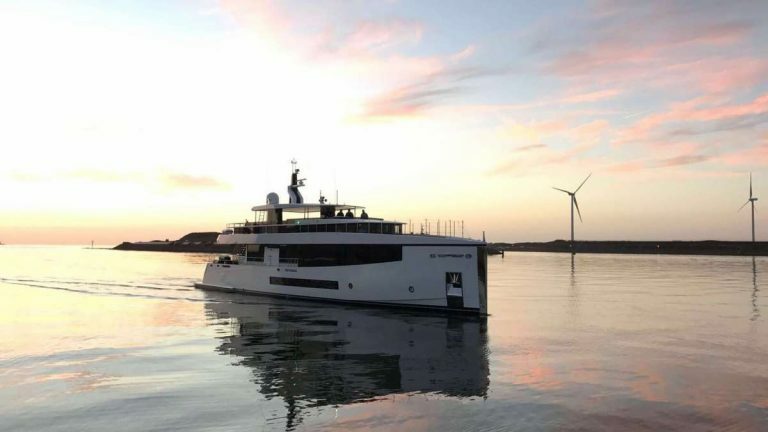 Unquestionably, this theme finds VSY as one of the most authoritative advocates in the nautical sector: in particular, in this project, this translates into utmost attention paid to the minimisation of the environmental impact generated over the whole lifecycle of the vessel. 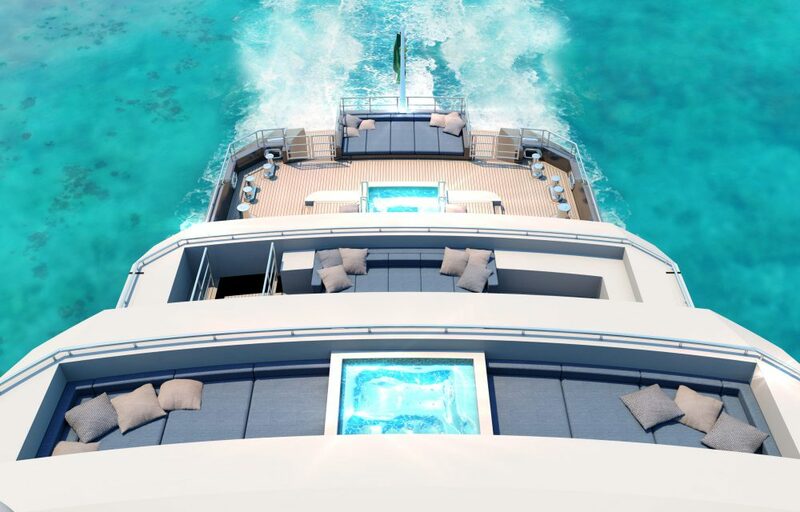 Secondly, the entire architectural development of the craft is shaped by the on board space configuration, engineered for both functionality and extreme versatility, in order to guarantee the owners and their guests the exotic delight of a seafaring life combined with maximum privacy. The optimisation of volumes and purposeful arrangement of the spaces invite moments of pure relaxation in close contact with nature, while at the same time enhancing the fun and whole social side of a cruise, with generous areas specially conceived for convivial, leisure, and sports activities. With comfort as a chief design guideline, certain layout elements clearly embody and substantiate such vision. Developed on two levels just forward of the main deck, the owner’s cabin rises uniquely over 4 meters high, a distinctive touch which offers a wider surface thanks to the mezzanine that grants access to a private foredeck. This is a concrete example of the overstepping fluidity of the volumes of this yacht, which flare to every direction and amplify the dynamic perception of space. The spaciousness of the main salon is another case in point: it boasts an area covering 100 square meters, allowing for a seamless panoramic view, reaching as far as the eye can see towards aft and through the flanks, equipped with openings for direct access to the sidewalks. Absolute comfort and true sustainability are not only the core values that inspired the creation of the new VSY 65M WATERECHO, but also an integral part of its operation. 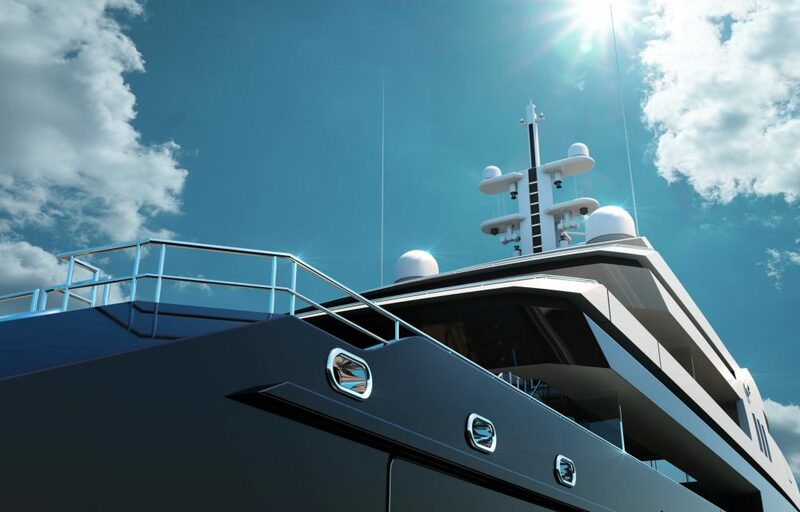 Driven by its instinct for innovation, the shipyard devised this project having in mind an owner with a strong character and personality, who stands out for their conscious, unique and groundbreaking choices, but who, above all, is deeply in love with the sea. 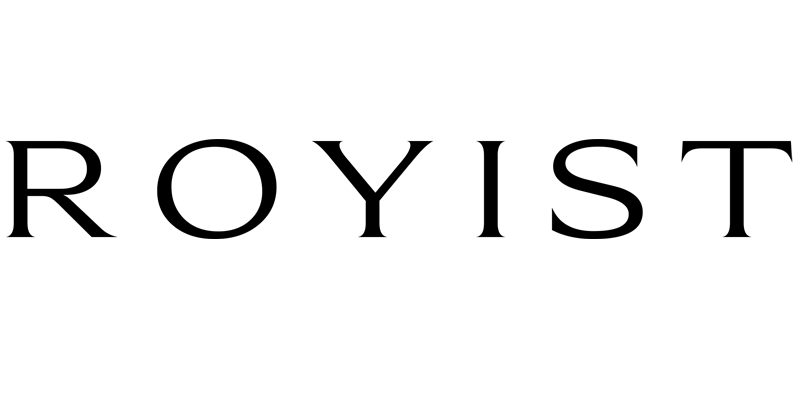 We offer a comprehensive suite of international yacht services, including bespoke yacht charter, yacht acquisition and management services, as well as, personal introductions to yacht specialists. For more information, please get in touch with our lifestyle team. 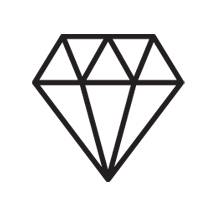 We are a leading boutique concierge offering luxury lifestyle management services to select members worldwide. Enjoy an unrivalled global 365/24/7 service. Oceanco Reveals New 105-meter Esquel at The Dubai International Boat Show. 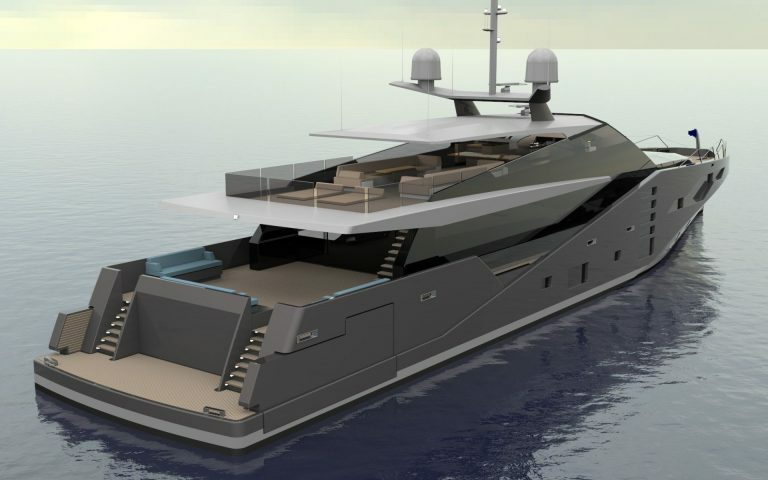 The Hot Lab 67 M Explorer by VSY was conceived in accordance with the original Explorer yacht concept, yet features all the characteristics of a modern and absolutely contemporary yacht. The STEALTH 46m ARV, offers an exclusive yacht concept with a radical exterior, aimed at owners who want to make a striking design statement. 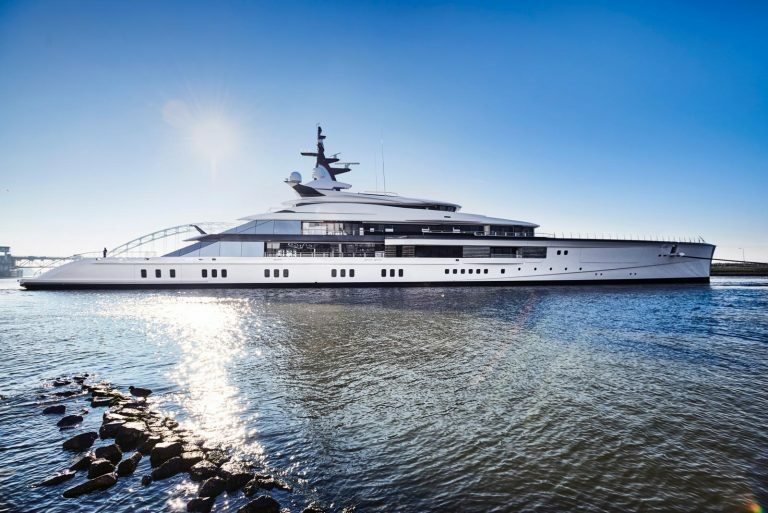 Representing one of the largest yachts ever built by Feadship, this 93-metre masterpiece was recently towed from the construction hall of the Feadship yard in Kaag. Now well-established as an industry standard in the wake of its forerunner, Stella Maris, the VSY family line has just expanded to welcome the new VSY 65M WATERECHO to the range. 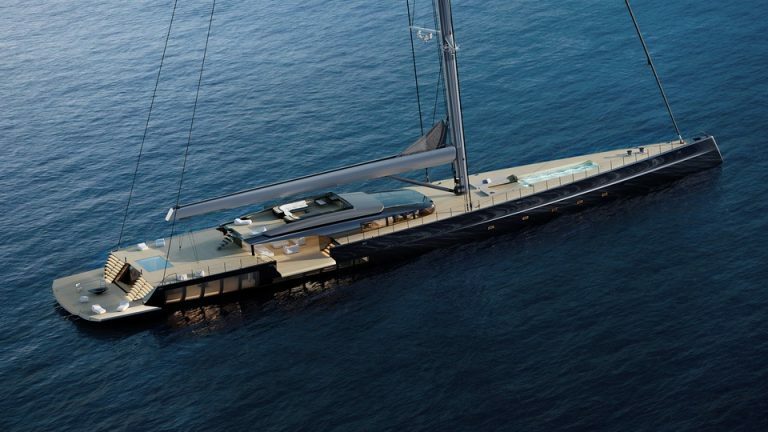 MM725 is unlike any other sailing superyacht afloat today. 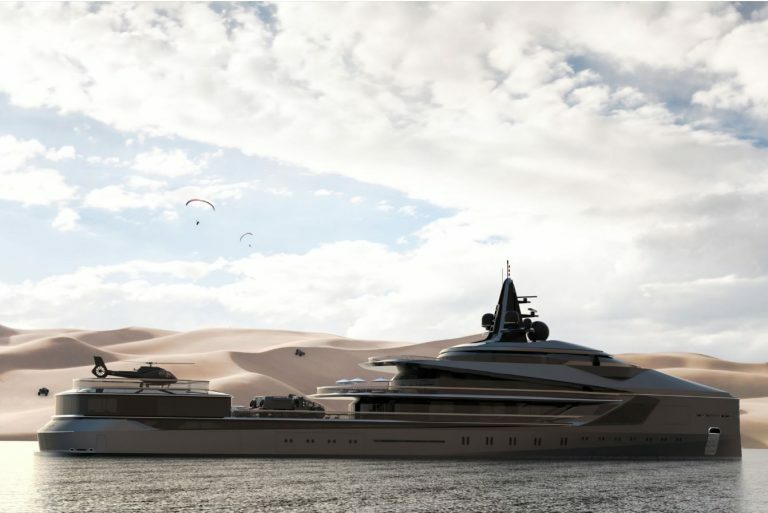 Oceanco delivered the groundbreaking 109m/357ft yacht “Project Bravo” to her proud Owners on 20 December. 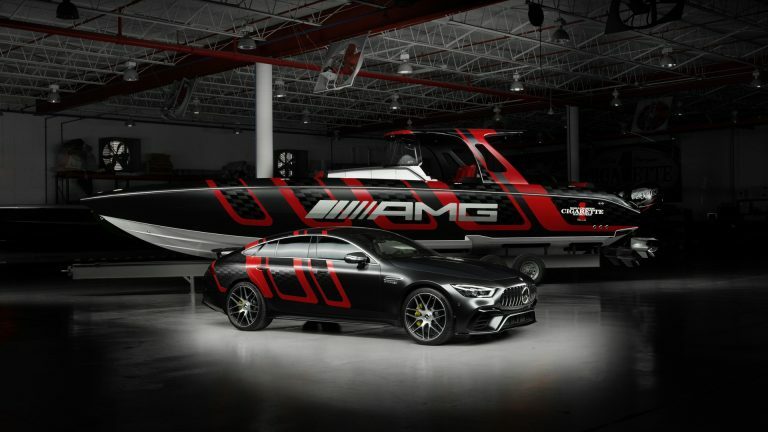 Mercedes-AMG and Cigarette Racing presented the "41’ AMG Carbon Edition" at the Miami International Boat Show. 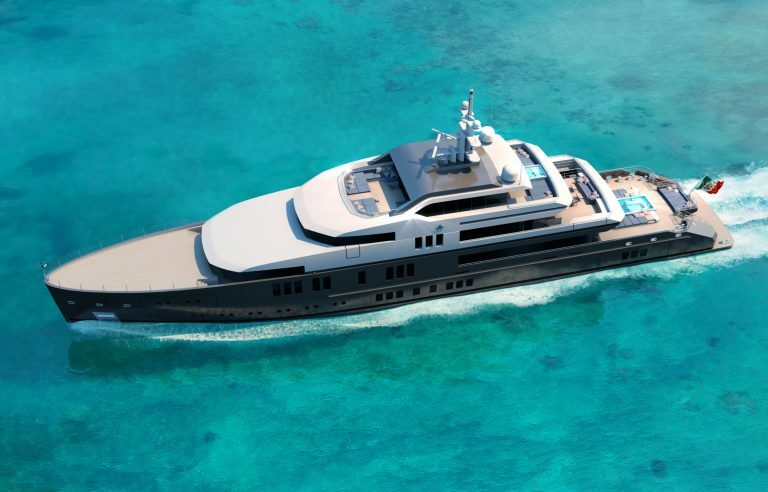 Turquoise Yachts has once again teamed up with Ken Freivokh Design to create an exceptional new project. 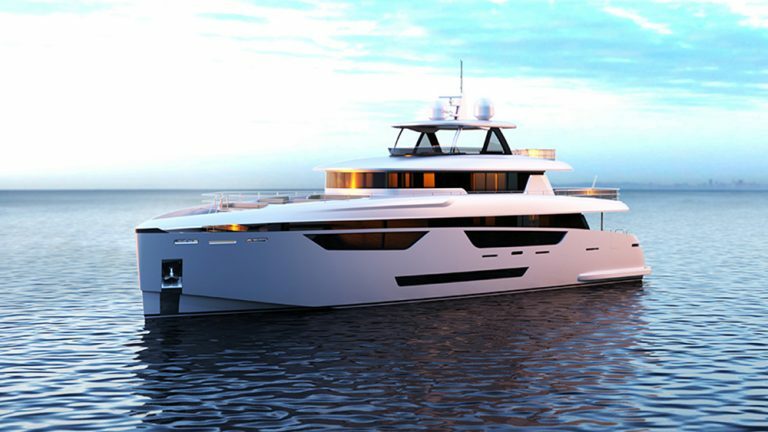 Johnson Yachts proudly unveiled the design of the Johnson 115, the builder’s new superyacht flagship. 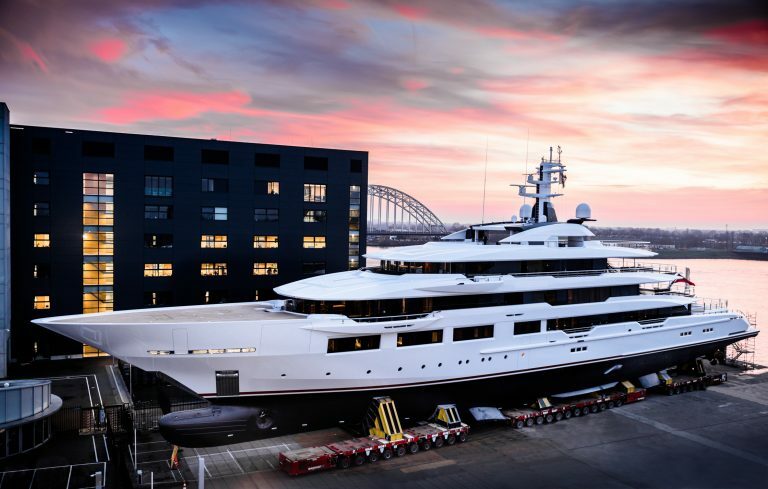 Oceanco’s new 90-meter superyacht Y716 DreAMBoat was successfully launched on 13 February 2019. 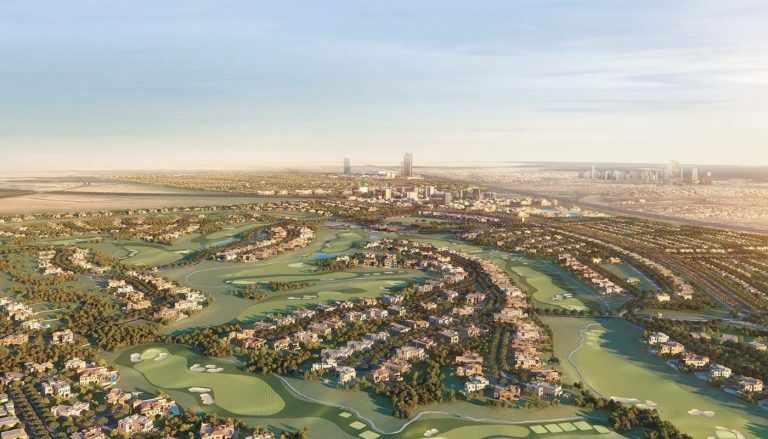 Dubai is poised to become a global capital for luxury yacht marinas as it continues to attract international companies to invest in the vital sector and capitalise on its growth opportunities, locally and regionally.